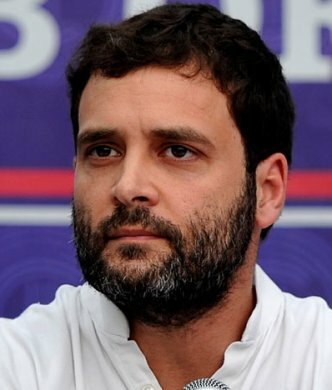 New Delhi: Taking the democratisation exercise within the party's frontal organisations a step further, Congress Vice President Rahul Gandhi has decided that the next president of National Students' Union Of India (NSUI) will be elected through internal election. Congress sources today said that NSUI office-bearers have been communicated the decision. The term of Rohit Chaudhary, who was made NSUI's national president in 2012, is over and a new chief will take over soon after completion of the election process. Office-bearers of the NSUI and its state presidents will elect the next national president, NSUI spokesperson Ambrish Ranjan Pandey told. Gandhi had introduced internal elections to elect office-bearers of the party's youth wing Indian Youth Congress (IYC) and students' wing NSUI a few years ago, but the national presidents of the two bodies continued to be nominated so far. The sources said Gandhi had been planning to introduce elections to pick the chiefs of NSUI and IYC for long, though some senior leaders are learnt to have a different view on the issue. The senior leaders are of the view that the role of money in internal elections had deepened after this "so-called democratisation process" and cite repeated victories of kith and kin of senior party leaders in several states, as well as "moneybags" as evidence of flaws in the reform model introduced by Gandhi, they said. The first major reform introduced by Gandhi after he became the AICC general secretary in-charge of IYC and NSUI was to hold organisational polls to elect office-bearers in both the frontal outfits. After the Lok Sabha poll debacle, there were question marks on whether the internal election process will continue in the two organisations or not. However, the IYC recently formally ruled out doing away with the internal elections.